PIR sensor lights are a great option if you are looking for outdoor security lights for your home or garden. 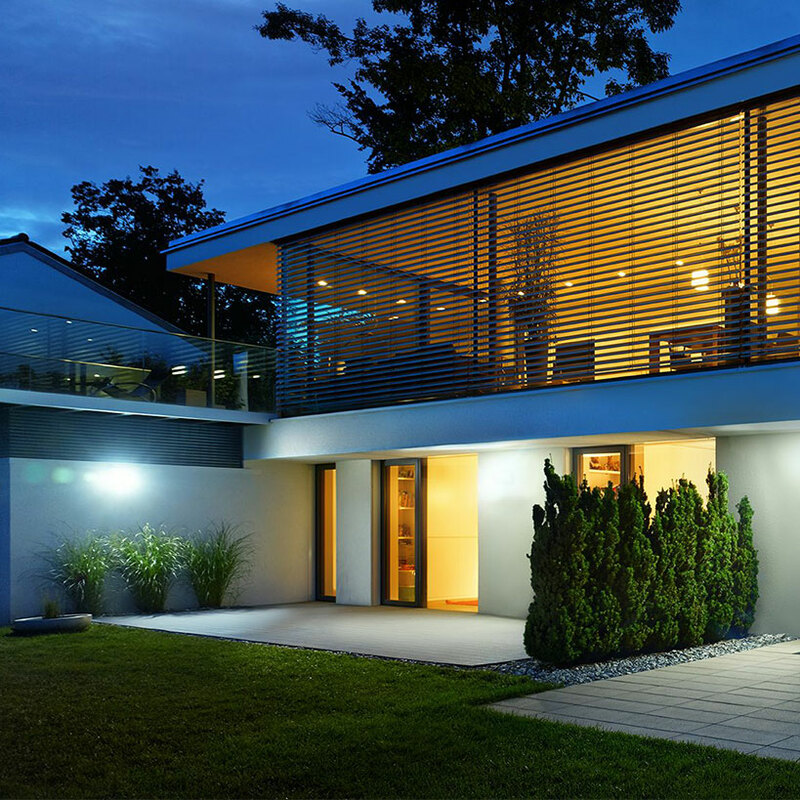 Unlike dusk 'til dawn lights, PIR sensor lights only come on when movement is detected. PIR ('Passive Infra-Red') sensors, uses invisible infra-red rays to sense changes in temperature, which causes a change in the output voltage. This then triggers a detection and the light. This is a green way to keep your house safe. 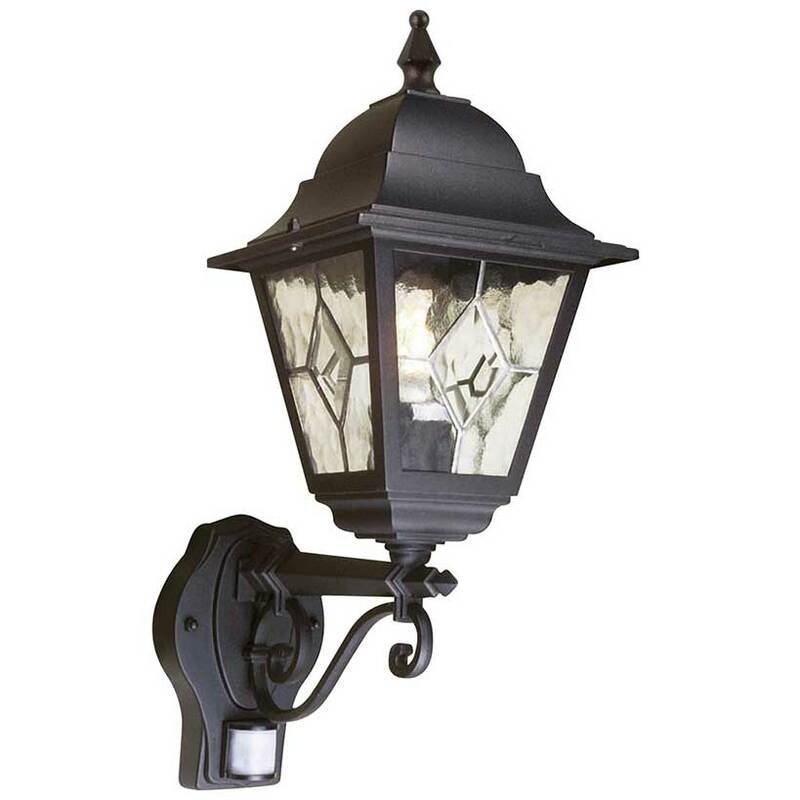 Our lighting range includes outdoor lamps, solar and LED lights with subtly integrated PIR sensors. See our selection here. 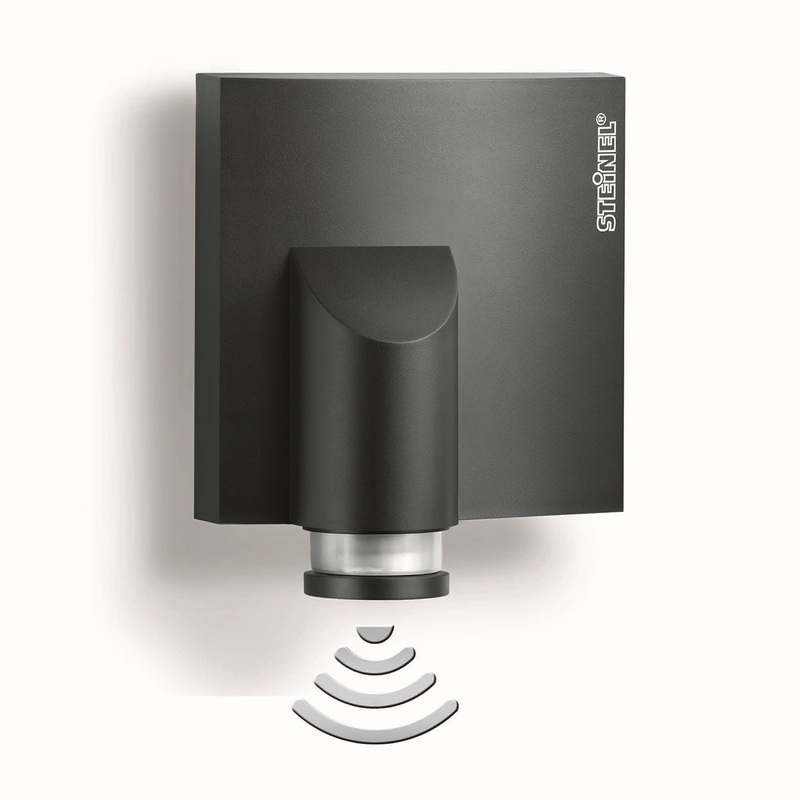 We have also recently launched our first Cam Light - see here for details. Please do not hesitate to get in touch with us if you have any queries about the types of sensor lights what we have to offer; we will be more than happy to help! Please also see our Steinel Help Page. 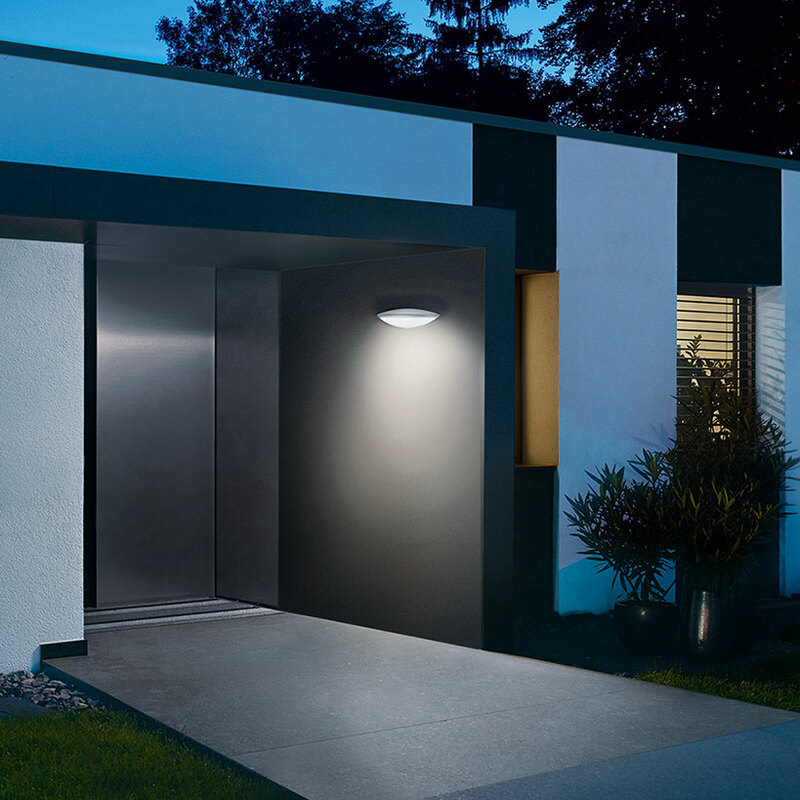 As the name suggests, dusk 'til dawn sensor lights turn on when a low amount of light is detected (at sunset), and turn off when a higher amount of light is detected (at sunrise). Additional programming can also control the brightness at certain times. We sell lamps with integrated dusk 'til dawn light sensors here, but you or your electrician can wire any of our standard lamps to a dusk 'til dawn sensor such that it turns on at dusk and turns off at dawn. Floodlights are the perfect option if you are looking for lamps which are extra bright or if you have large area you need to illuminate. These floodlights provide a day bright light which will light up the dark corners of your outdoor space, keeping your home extra safe. Our range includes solar powered options for difficult areas where there is no power connection available, and versions with swivel LED panels which let you focus light into specific areas. 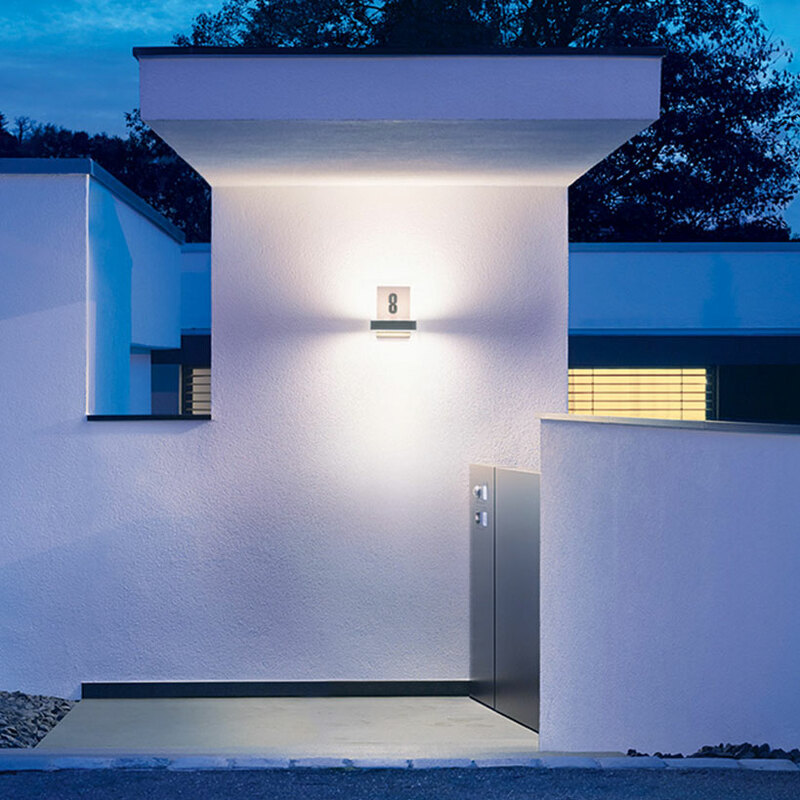 Our range of sensor lights includes illuminated house number by Germany-based company Steinel. These signs light up your front porch with a soft glow, while making sure your house number is crystal clear. These have a built in motion sensor so the house number will only light up when motion is detected, and also have a manual override allows you to switch the light on or off via a connected light switch for up to 4 hours. 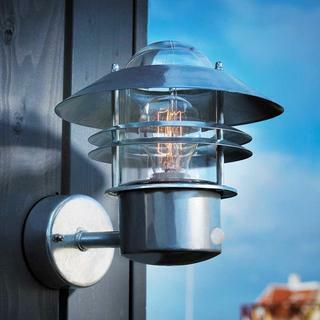 Alternatively, you can have a separate PIR sensor wired to any outdoor lamp. This may enable you or your electrician to conceal the sensor and the wiring and if done well, can become an additional layer of security as it could make the sensor difficult to locate. In addition some have 'sneak-by' guards which make it nearly impossible to avoid triggering.